We love Thailand. It was our first real travel adventure and has a special place in our hearts. Sure we had taken vacations before, but Thailand was a step out of our comfort zone. It was our first travel that lasted over a month and it was the first time that we really experienced another culture and way of life. I fondly remember landing at the airport in Bangkok and having no idea what to do next. A friend of ours had told us to go to Khao San Road, so we hopped in a taxi, paid way too much and were let off somewhere nearby. We ended up getting lost and walking for a couple of hours in the middle of the night downtown. We were nervous and very new to travel, but we were excited at the same time. We eventually ended up finding our way and it was the start of 10 years of glorious adventure travel around the world. We have been back a few times and we always find new and exciting things to do in Thailand.. It is one of our favourite countries to travel to and it if filled with great adventures for any travelers to do. So we wanted to share some of the greatest adventures that we love to do in Thailand. After all, it was the country that started it all for us. Rock Climbing in Railay – In the year 2000, we learned to climb in Railay and we became hooked on it. We took up indoor rock climbing when we returned to Canada and then became regulars at the crag on the Niagara Escarpment. We then returned to Thailand in 2003 and did our first multi-pitch climb. Both times that we climbed in Raleigh, we climbed with King Climbers. They are excellent, safe, friendly and reasonable. Railay is changing rapidly and tourists are starting to flock there. When we first visited you could camp at Railay and it was cheap, cheap cheap. Now bungalows and swimming pools have popped up. But the beauty is still undeniable and climbing is fantastic. It is time to get yourself to Thailand before it is changed forever. Meditation Course in Chang Mai – So, if you are in Chang Mai, why not try something different rather than trekking to see Hill Tribes or taking a cooking course. These treks can be quite touristy and taking a break from the beaten path can be an adventure unto itself. We took a multi-day meditation course together. We were the only two people in the course, We worked on several different types of meditations and tai chi. As we talked with our instructor, we cooked vegetarian food and really bonded with each other during that time. This may not seem like it, but learning to meditate can be one of the biggest adventures of our life. There are many courses all over the Chang Mai area. 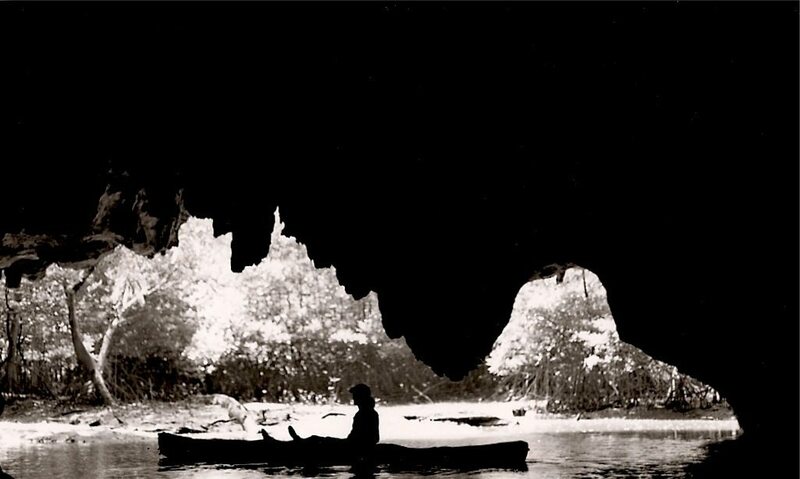 Cave Kayaking in Krabi – Sea kayaking is very popular, but to go inland to kayak on the river system through a mangrove forest. The day of paddling offers up beautiful scenery and entering caves is exhilarating. Approaching a limestone cliff a dark sliver shows between the rock and the water and you would ask yourself, Are we going in there? Lying down to make it through at some points, you enter the cave paddling under stalactites and it is a thrill. Check out some hieroglyphics and then to come out in a lagoon surrounded by high cliffs. It is absolute heaven. We Kayaked with Sea Kayak Krabi and they were excellent. Our guide was informative and friendly. To explore the remote regions of a country is breathtaking. 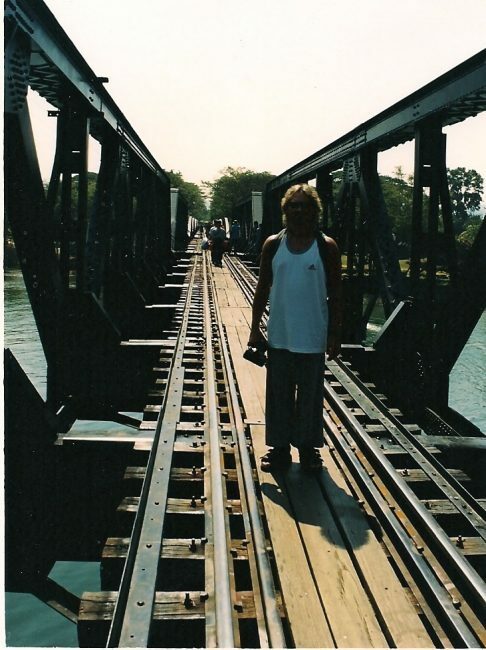 Walking along the Bridge on the River Kwai – You wouldn't think of it as being an adventure, but I felt a rush as I walked between railroad ties. One false move and you could fall into the river. The bridge is very high up and a fall could be deadly. We joked that if this were in Canada, there would be cages and wires to make sure everyone stayed safe. In Thailand, you just walked along the planks and make room for others as they pass. It doesn't look very high in the photo, but trust me, it is a long drop into the water and the spaces between the planks are wide in sections. To walk on such a famous piece of history was amazing. I had just watched the movie, Bridge on the River Kwai before leaving for my first trip to Thailand, so it was very fresh in my mind and I whistled the tune as I strolled along. 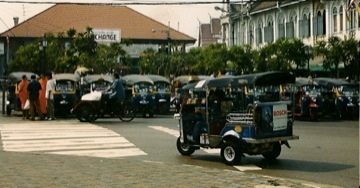 Taking a Tuk Tuk downtown Bangkok – No visit to Thailand would be complete without a ride in a Tuk Tuk. These 3 wheelin' bikes zip in and out of traffic in a frenzy. Hold on and hope that you don't tip. They are cheap and easy to get around in. But be prepared for a loud ride and to breathe in a lot of fumes. Negotiate hard though and don' t fall for the scam of being taken to gem markets for the cheap price of 10 baht. Oh and enjoy the wildest ride through city traffic of your life. Go to a waterfall. Thailand is full of them, but we loved the one in Kho Samui. Swimming in the pool below the falls and letting the water run over your head cools you off during a long hot day. 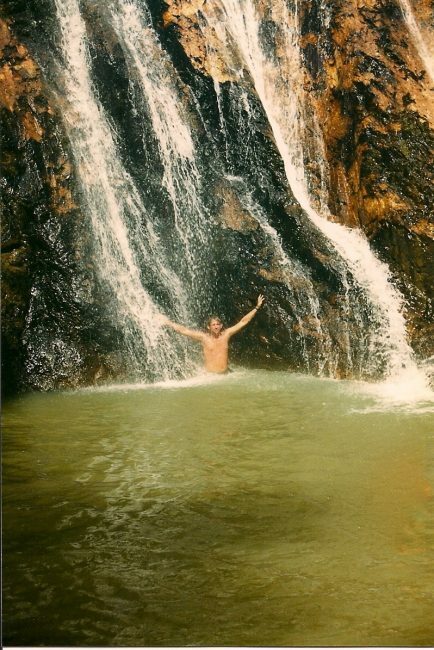 Find your favorite waterfall in the country and spend the day suntanning on rocks and cooling off in the fresh water. Thailand is full of interesting and adventurous things to do. We have only scratched the surface of all that there is to see, but we look forward to going back time and again to check more off of the list. 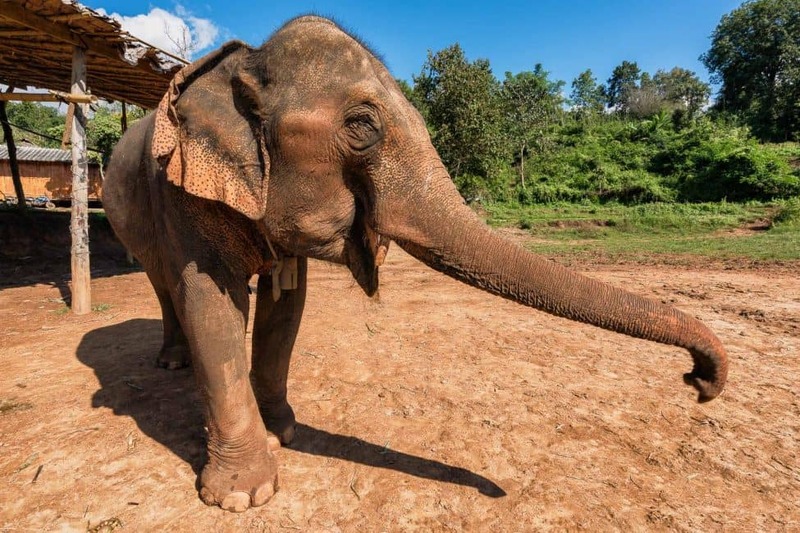 13 Responses to "Our Favorite Adventurous Things to do in Thailand"
Elephant trekking is one of the best experiences anyone can have while they’re in Thailand. What I like most about it is that you can ride down sitting on the elephants head if you want. It maybe pretty scary at first but since they’re very gentle you’ll feel at ease soon. A really good elephant rehabilitation centre is the Patara Ellephant Farm in Chiang Mai. http://www.pataraelephantfarm.com No elephant tricks, just good care and a wonderful way to learn more about elephants. You actually learn how to groom, feed and care for them. Thanks for the information Dan. We’ll check it out the next time we’re in Thailand. 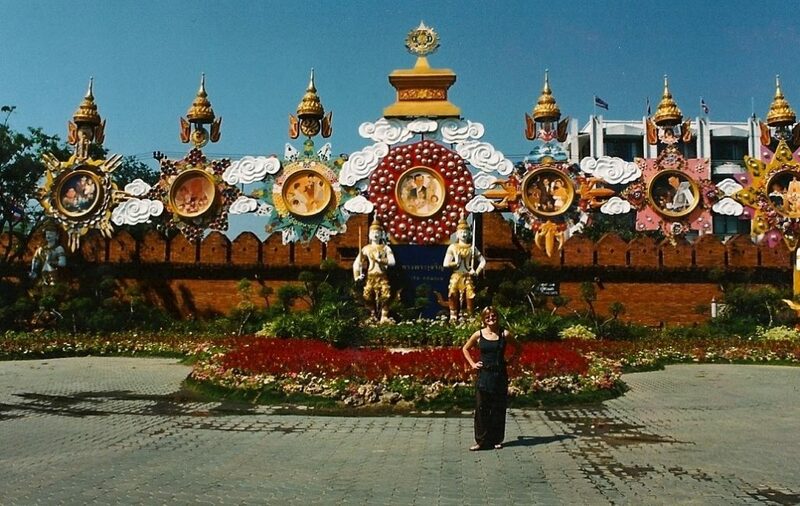 Come to Thailand and celebrate one of the Buddhist holy days/holidays and experience the real Thailand. if i could i would go back to Thailand straight away, it’s just a great land! .-= marta´s last blog ..Our escape to the Whitsundays =-. Hi Davendeb, which kayaking excursion thru the caves did you do. Was is the Ao Luk or Thalane? Aah…..memories! Taking a cooking course is also another typical activity in Thailand, and Chiang Mai in particular is littered with them. I ended up taking one called You Sabai that was way out of town, and ended up being so much more than just a cooking course. Highly recommended! PS – Wanna go climbing when I’m in Toronto (August)?